Our lawyers provide a broad spectrum of legal services to clients in the insurance industry. Our group utilizes an interdisciplinary approach to counsel our clients. We understand the red flags of insurance fraud and how to best handle them. Lawyers in the Insurance Fraud Practice Group provide a broad spectrum of legal services to clients in the insurance industry. Utilizing an interdisciplinary approach, members of our group draw upon their experience to counsel a wide variety of insurance clients, including life, disability, homeowners, personal property, commercial, general casualty and mutual insurance carriers. We concentrate on cases of suspected fraud and we're dedicated to meeting insurers’ needs in confronting fraudulent or exaggerated claims. Members of our group aggressively resist fraudulent claims. We understand the red flags of insurance fraud including late notice of claim, exaggeration of damages and loss, impeding access to basic claim information, criminal conduct and the like. 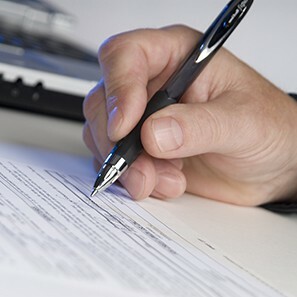 We also understand the need to vigorously press as a plaintiff, where appropriate, policy rescission and damages when fraud exists in the insurance application or in the claim. With the mounting pressure on State insurance regulators to reduce insurance fraud, suspected fraud has gained increasing importance in the insurance industry. Since insurers are required, under the anti-fraud law, to set up specialized insurance fraud units, we have policies and procedures to work in tandem with our clients in these matters. Our lawyers have experience in counseling clients on the impact of anti-kickback and anti-referral laws on healthcare transactions and arrangements, compliance with insurance fraud statutes and defending against State investigations into potential compliance violations. We develop a partnership with our clients to insure compliance. Our group is committed to providing clients high quality legal representation with dedication and excellence, through trial, in the hard hitting arena of insurance fraud litigation. We have extensive experience in the defense of life and disability insurance claims, including fraudulent claims for benefits. We vigorously press the defenses of fraud in the application, fraud in the claim, first manifestation of sickness, legal disability and loss of professional licensure unrelated to disability, insurable interest, ERISA pre-emption, and pre-existing condition. Additionally, our group uses the Pennsylvania Insurance Fraud Prevention Act to pursue civil remedies for insurance fraud when there are material misstatements in the insurance application or in the claim. Our group seeks attorney’s fees, costs, and treble damages, where appropriate, and prosecute insurance fraud, on the civil side, through the Fraud Prevention Act. Our attorneys work with insurance carriers investigating and resisting unfounded commercial and property losses, before and after litigation, on the basis of application misrepresentation, arson, concealment and fraudulent claim presentation. We understand the science of fire origin as it relates to arson, as well as basic accounting as it relates to business interruption coverage. With expertise in closely related coverage issues arising under statutes and policy terms, our Group handles claims arising from business interruption, jewelry theft, inland marine and other specialized property forms. Our specialized team is equipped to handle third party personal injury cases where fraud is suspected. Cases involving staged accidents, fabricated injuries and exaggerated damages are vigorously defended. Emphasis is placed on intensive tailored discovery, a thorough workup of all aspects of the file, and an aggressive trial of the case to establish insurance fraud in the claim. The Insurance Fraud Prevention Act provides our clients with the opportunity to counterclaim for damages, including the costs of the investigation and attorneys fees, which is pursued when appropriate.